Boeing (NYSE: BA) and Lockheed Martin (NYSE: LMT) have agreed to turn down Aerojet Rocketdyne‘s (NYSE: AJRD) $2 billion cash offer to acquire United Launch Alliance, the Wall Street Journal reported Wednesday. 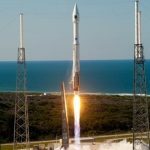 Andy Pasztor writes Aerojet Rocketdyne was not given access to the Boeing-Lockheed joint venture’s books before the rocket engine manufacturer received a formal rejection of its ULA bid. Chris Chadwick, president and CEO of Boeing’s defense, space and security business, told reporters Wednesday at an Air Force Association forum the company did not seriously consider the acquisition offer, according to a report by Reuters’ Andrea Shalal. He added he believes ULA has a “good competitive position” in the space launch services market and that Boeing is committed to the venture for the long term. Defense News reports Boeing invested in Aerojet Rocketdyne’s and Blue Origin‘s projects to develop potential alternatives to Russian-made RD-180 engine, which ULA uses in its Atlas V rockets. The publication quoted Chadwick as saying Boeing wants to keep its options open in collaborating with other companies to build a U.S.-made engine technology.